A careful distinction must be made concerning your relationship to the flesh as a Christian. There is a difference in Scripture between being in the flesh and walking according to the flesh. As a Christian, you are no longer in the flesh. That phrase describes people who are still spiritually dead (Romans 8:8), those who live independently of God. Everything they do, whether morally good or bad, is in the flesh. You are not in the flesh; you are in Christ. You are no longer independent of God; you have declared your dependence upon Him by placing faith in Christ. But even though you are not in the flesh, you may still choose to walk according to the flesh (Romans 8:12, 13). You may still act independently of God by responding to the mind-set, patterns and habits ingrained in you by the world you lived in. Paul rebuked the immature Corinthian Christians as "fleshly" because of their expressions of jealousy, strife, division and misplaced identity (1 Corinthians 3:1-3). He listed the evidences of fleshly living in Galatians 5:19-21. Unbelievers can't help but live according to the flesh because they are totally in the flesh. But your old skipper is gone. You are no longer in the flesh and you no longer need to live according to its desires. Getting rid of the old self was God's responsibility, but rendering the flesh and its deeds inoperative is our responsibility (Romans 8:12). God has changed your nature, but it's your responsibility to change your behavior by "putting to death the deeds of the body" (Romans 8:13). You will gain victory over the flesh by learning to condition your behavior after your new skipper, your new self which is infused with the nature of Christ, and learning to transform your old pattern for thinking and responding to your sin-trained flesh by renewing your mind (Romans 12:2). Prayer: Lord, knowing that I am no longer controlled by sin is such a liberating concept. I can walk today in freedom from my old self, the world system, and the devil. Praise Your name! Originally published April 22, 2019. 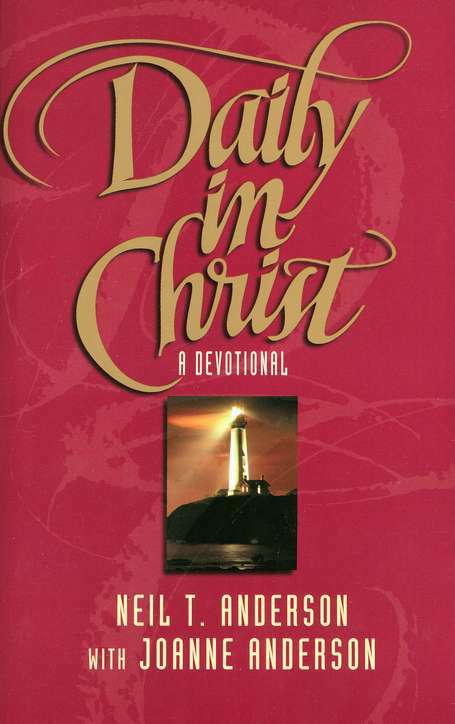 Daily In Christ with Neil Anderson is a popular daily Bible devotion. This Neil Anderson devotional offers wisdom and insight for applying Biblical truths to the ups and downs of everyday life to help you grow spiritually. Spiritual growth doesn't just happen. You have to constantly strive to grow in the Word of God and Jesus Christ. Reading daily devotions provides strength and encouragement in your daily walk with Jesus Christ.